During the RARE II Wilderness Assessment process, and during the Sagebrush Rebellion of the 1970s and 1980s, wildcatters along the Rocky Mountains spine of the west would say we couldn’t rule out any area as having no oil unless we drilled first. But no one’s found oil in Timpanogos. Instead, we’ve found Timpanogos in oil. It’s an interesting view of the mountain, from the southwest. At the right of the picture is Provo Canyon. The body of water must be the Provo River, but in a serene state I think could not have existed at any time. The bluffs shown past the juniper trees are unfamiliar to me. I’m guessing the artist, Adam Abram, has idealized Timpanogos as the Mormon pioneers might have found it. The area portrayed is probably part of Orem, Utah, today — covered by housing tracts and power lines. Anyone know? A topological map covering the mouth of Provo Canyon to where the river enters Utah Lake might offer much more specific information. I don’t have one of those at the moment. Utah’s Mount Timpanogos looking Northeast; Provo Canyon to the left of the photo. Photo by Bob Walker. Almost update: I went looking for Adam Abram. 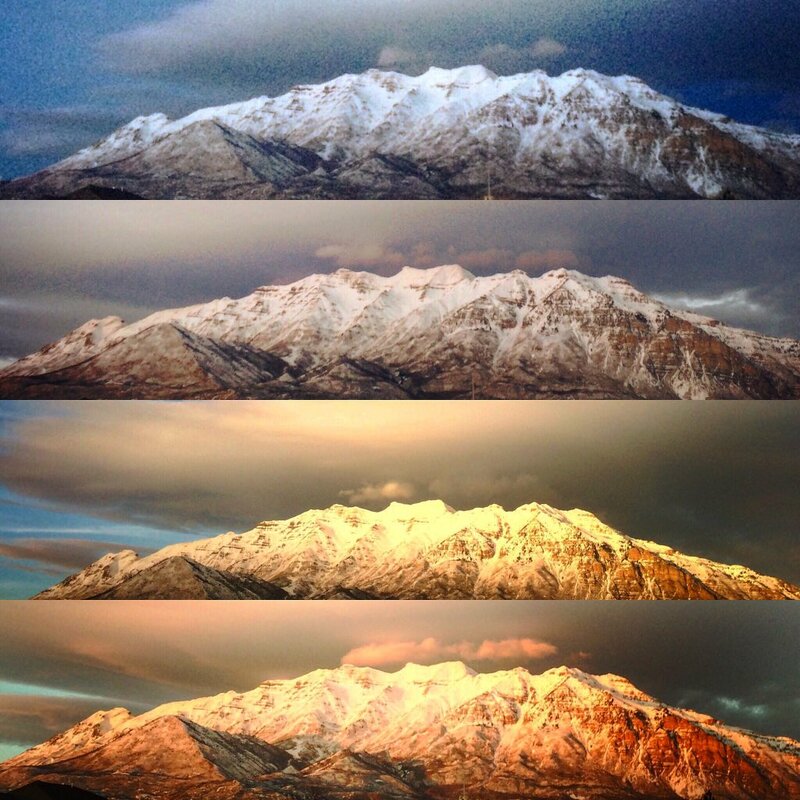 You can hang a print of his Mount Timpanogos Millennium for under $30 (a bargain). I grew up in the shadow of beautiful Mt. Timpanogos. This mountain, towering over Utah Valley, stands at 11,749 feet above sea level and once rose above the shores of ancient Lake Bonneville. Its name is a Paiute word meaning “river of rock.” My goal as an artist was to memorialize my favorite mountain with a 19th century style similar to the Hudson River School. In the process of creation, I did studies of several trees from around the mountain and painted them in. Sadly, those trees have been torn down with the growth of business and home development. This painting is a tribute to the beauty and majesty of this incredible mountain. This painting won 3rd place in the prestigious 2007 International ARC salon. I’m not alone in loving that mountain. Who knew? Does a name seal one’s geographic fate? A site out of Utah that compiles a list of blogs based in Utah County, around Provo, lists Millard Fillmore’s Bathtub as one of the local products. It’s tough to complain. The site doesn’t drive much traffic my way, but there is an occasional foray. The Bathtub can use all the traffic drivers anyone wants to provide for free, in honest linking. Mount Timpanogos is based in Utah County. It’s a beautiful, underappreciated block of ancient stone. 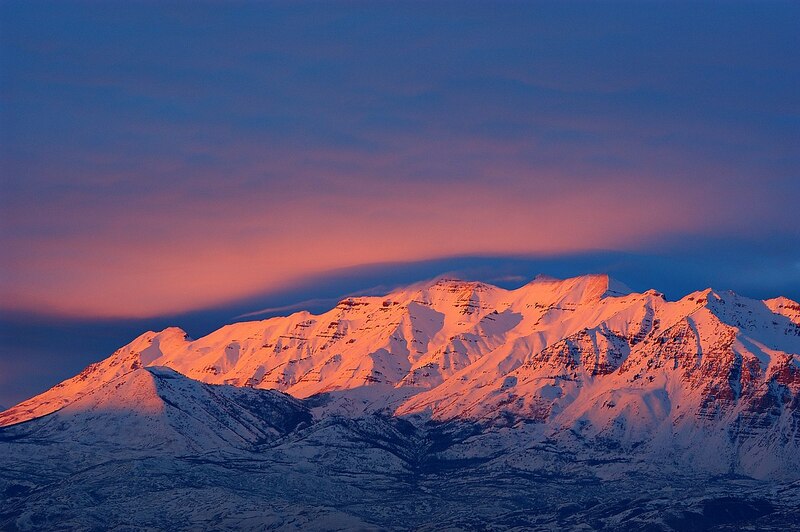 Mount Timpanogos at sunset. Timpanogos is the second highest mountian in the Wasatch Front (11,752 ft/3,582 m), and forms the eastern border of Utah County. 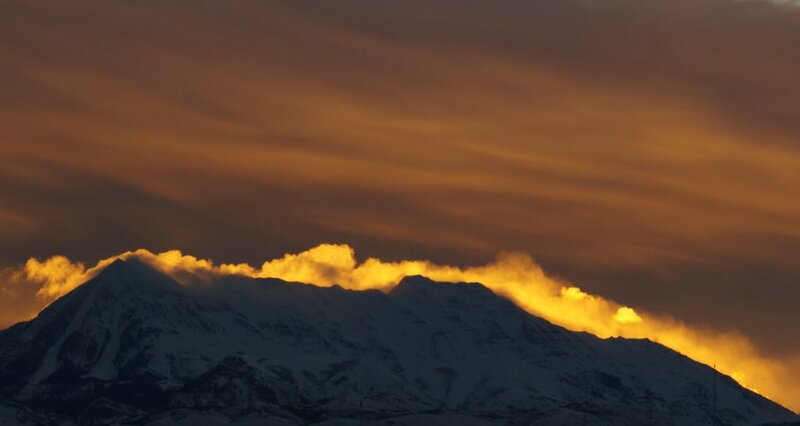 Wikipedia image, photo by Eric Ward from Provo, UT, USA – Mount Timpanogos – 01/19/08. The founder/editor of this blog has been inspired by this mountain for years, particularly in those years that it greeted him each morning from his bedroom window. But the Bathtub is not based in Utah County, despite the reference to the mountain in the URL. It’s great to have something of beneficial serendipity to note, in contrast with our usual observations that the “idiots” are carrying us all to hell in an uncomfortable and inadequately air-conditioned hand basket. Another important clue: Amazon.com is not a company located in the Brazilian rainforest. You are currently browsing the archives for the Timpanogos category.